Can Western WA Transfers Help? I know that for many, the news that Western Washington was dropping football was met with tremendous disappointment. It’s not a great story, in fact some in the know claim they were misled by the administration and are simply taking the quick-n-easy way out of this. Former QB Jason Stiles, a frequent color guy on FSN broadcasts, has helped spearhead a Save Western WA Football movement, including a website that is regularly updated on their cause, and giving people a chance to donate funds in an attempt to save the program. As of today, they have about $1 MILLION dollars pledged by alums and fans of the school, so clearly there is passion – and money – out there for Western. I certainly hope they make it back. Having another team in-state is a good thing, D-II or whatever else, and to rip it away from Bellingham absolutely stinks. But it is what it is, in these trying economic times. Those in power at Western decided that football is gone, and it’s not coming back, at least under their watch. To them, it was either drop football and save the other programs, or, save football and drop everything else. Sound familiar? Remember the Cougfan article that praised the bulking up of the players based on all the proper nutrition and hard work in weight room? Where “an eye-popping 33 players have packed on 10 pounds or more. And in some cases, considerably more”? It had been said all of last fall, heck, since last SPRING, that the team had to get bigger, stronger, tougher. How can we not like the news that players are actually taking to the weight programs, eating properly, and putting on the right kind of weight? Anyone that went to a game last year, especially against the likes of Okie State, Cal, Oregon, USC, you saw WITH YOUR OWN EYES that our kids just didn’t pass the eye test. Especially up front, on both sides of the ball, they were simply manhandled. Step one in trying to compete with guys who are bigger and stronger is to, well, get bigger and stronger yourself. Go back and look at the ’08 schedule and results, and remember where this thing was last year. Fail to get bigger and stronger, you get 69-0, 58-0, 66-13, 66-3…..we don’t need to relive ’08 anymore do we? Pretty scary. A few other things out there today. Cougfan is firing up the masses, one more time, against the UW tax grab. Turns out the senate bill that made it out of committee, SB 6116? The one with Key arena renovation included? Well, UW’s effort has piggybacked onto this bill. Just read the article yourself, we can’t do it justice in terms of the arguments against a $150 million dollar gift from the taxpayers. 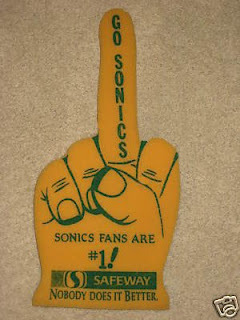 Oh, and die-hard Sonics fans? They HATE WSU’s anti-stance on this thing. HATE IT. Some of the comments from frustrated UW’ers are pretty funny though. Give it a read if you want. I am split – completely – on this. Part of me dreams of a major renovation at Seattle Center, which right now looks worse than Riverfront Park in Spokane. I would love a city center we can be proud of in the northwest, to see the Key expand, and bring back Sonics Reloaded with Steve Ballmer’s billions (and he would be the richest owner in all of pro sports btw). But is it worth it if the Huskies get $150 million dollars of King County tax money to create a $300 million dollar fortress on the lake, the most expensive NCAA renovation ever? The thing I hate about it is this isn’t Oregon State or Washington State we’re talking about. This is the big, bad, rich, better-than-you Huskies. You know, the ones that constantly go out of their way to remind us of who they are? The ones with all their riches, all their excess, and they are the ones asking for a huge handout? I just hate that. Can’t they just figure it out on their own? Oregon did it, Oregon State did it, we are trying to do it. Why piggy-back onto the Seattle Center renovation? They want to blame WSU fans if this fails? Fine. We will blame UW, all the same, for getting into this mess in the first place. Next, uniforms. Where and when will we see our new Nike versions of WSU? 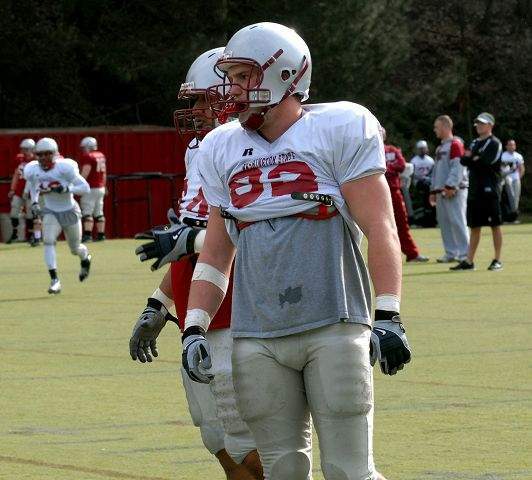 After all, UW has done a redesign themselves, and they will unveil them this Saturday at their spring game. It would be cool if we got a surprise at our spring game, but it sounds like it might be a little later before we see them (early May perhaps?). Finally, don’t look for an Apple Cup announcement just yet. Both sides have gone into quiet mode as things get finalized. I would look to next week, at least, before an announcement is made. After all, the state legislature wraps things up this weekend. The budget cuts will be done by then, so the reasons for doing this will be crystal clear by the time the dust has settled. That’s it for today. ENJOY YOUR HUMPDAY, and GO COUGS! You are currently browsing the archives for the Michael Spears category.